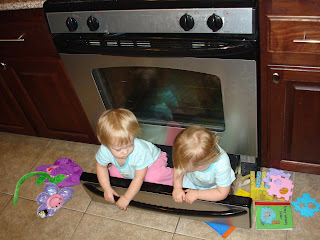 behind mommy lines: What's Cookin? The kitchen is really just a playroom. It's not like I'm using it a whole ton!